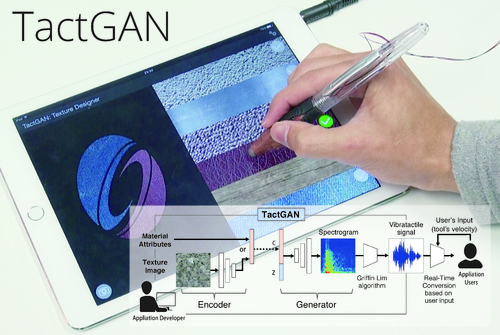 Emerging Technologies Talk: TactGAN helps us to design vibrotactile feedbacks rapidly. With this system, we can generate vibrotactile stimuli from images and user-defined attribute values such as material kinds or tactile words. We can design vibrotactile feedback on the touchscreen while touching and comparing the generated stimuli.